Update: Activision has just announced that Classic will head to PlayStation Network this week as well — on Thursday for $14.99. 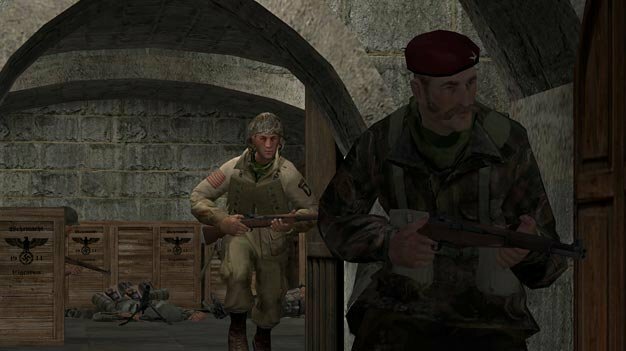 Original story: Infinity Ward’s port of the original Call of Duty, titled Call of Duty Classic, is this week’s Xbox Live Arcade offering, Xbox Live’s European community manager Graeme Boyd tweets, also confirming the previously rumored 1200 MS Point price point which should scare those who bought the pricier editions of Modern Warfare 2 into looking for that redeemable code that’s tucked away somewhere in their editions. The arrival of Cpt. Price’s well-aged mustache is also confirmed by Larry Hryb from the other side of the pond.